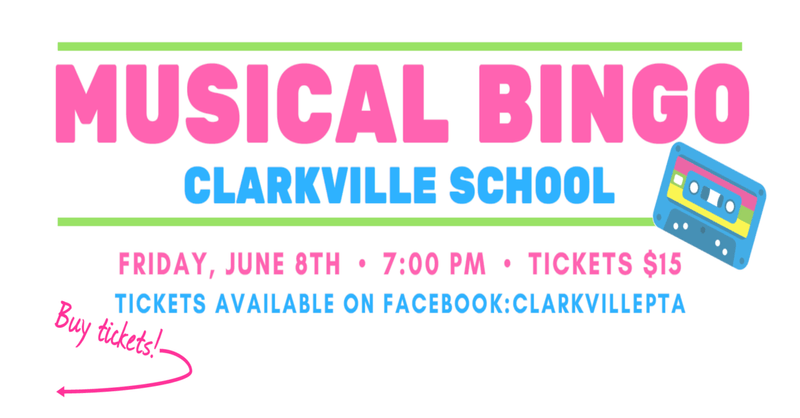 Musical Bingo is back at Clarkville School by popular demand! $15 per person (including 2 cards per round). Bar facilities - no under 18s please. Tickets can be purchased online at https://www.facebook.com/ClarkvillePTA/app/251458316228/ or from the school office. A hilarious, social evening for adults with songs instead of numbers on the bingo cards. Easy and fun on your own or with friends.